This is the gorgeous Shimmer Lotion from Dirty Works. Dirty Works is exclusive Sainsbury's. This brands is dedicated to make you feel good with good clean fun! Dirty Works do a wide range of body products but also dabble in accessories. Their products are so eye catching and certainly stand out from the other products on the shelves. At first glance I notice how similar it seems to be with the Soap & Glory packaging, the pin up girl, the quirky writing. These are both similar in the fact that they like their vintage - and who doesn't?! What I love about this is the glittery/shimmery packaging. I am a complete sucker for anything that shines, so when I was given this I was just mesmerized. I also love how cheeky the packing is and how simple it is too. Looks gorgeous in my bathroom! I love how shimmery the lotion is. It literally is a tube of sunshine. You'd be mad to not agree with me when I say that is looks beautiful. It's like summer in a bottle!! I can't wait to use this when I go to the beach in the summer to enhance the look of a sun kissed glow. This feels so smooth on me and also cools my skin. 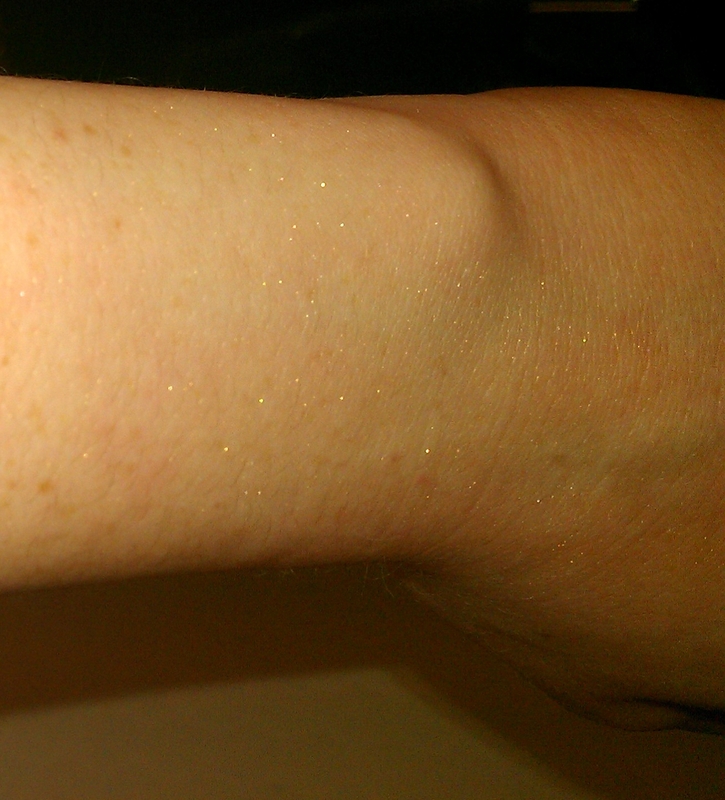 As you can see it's full of shimmer, so a little goes a long way! The lotion isn't gritty at all, and really applies smoothly. 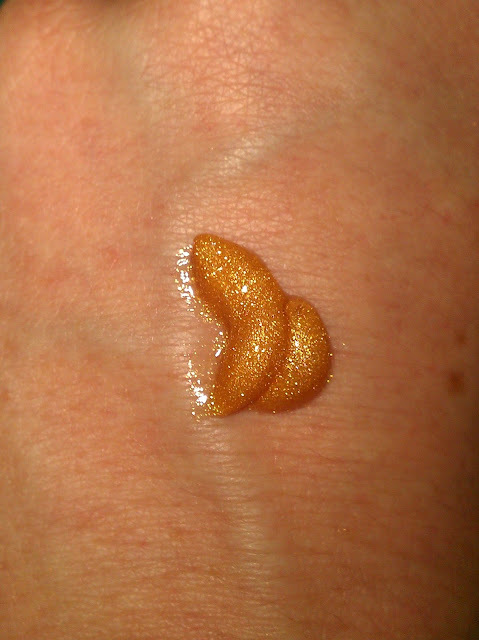 I am so happy with how it looks on the skin, and as a body shimmer lover I was very impressed. It gave my body a gorgeous glow that wasn't too much. I also love that the scent is so subtle too, it's fresh and summery which is ideal. It also dries quick too so as soon as you put it on your good to go leaving your skin smooth and soft. Overall, I love this and cannot wait to use it in the summer - or when I go out partying next! Grab this beautiful Body Works Bling It On Shimmer Lotion from Sainsbury's at half price now at £2.49, RRP £4.99. I was lucky to been given it by the lovely Holly Arabella - check out her blog! What a steal! Would you wear something like this? I agree, can't wait to try it in the summer!! It's so pretty!! Love the vintage look of the packaging. Nice glittery look. Thank your for your really nice comment! :') Made me blush. Also, thank you for following me, even though I'm not a beauty blog. I love make-up and doing different hairstyle, but I don't think that I could write successful reviews or do tutorials. I love this stuff! It's great on skin with a tan too so it's perfect to use in summer, I use it on my legs for a bit of a glow.